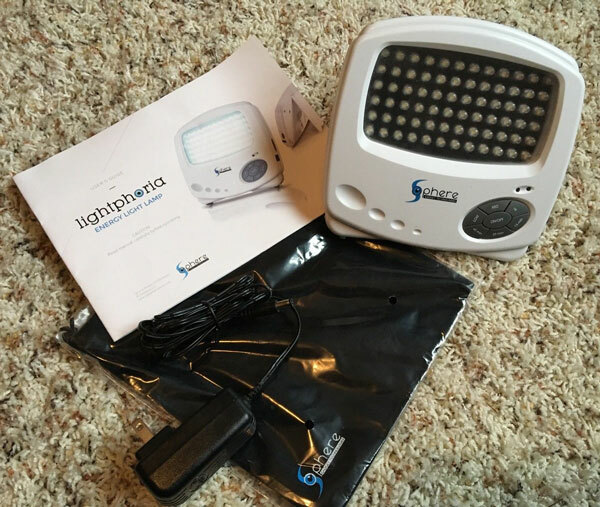 A highly rated LED light therapy device aimed at people with seasonal affective disorder, this device from a relatively unknown manufacturer could be the cost-effective seasonal affective disorder light that people have been looking for. 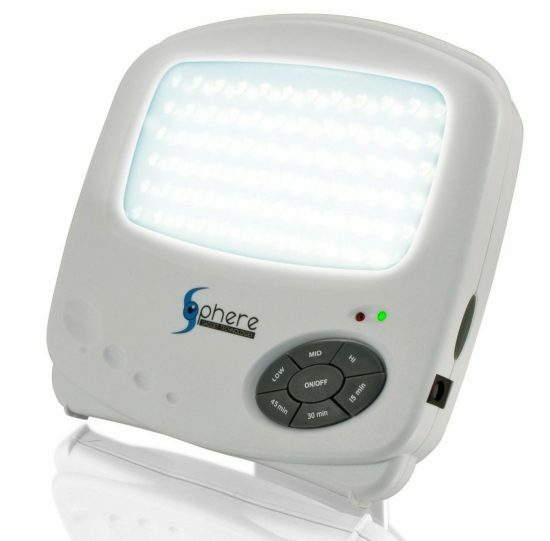 With good press behind it and over 2000 reviews on Amazon, the Sphere Gadget Technologies Lightphoria has become hugely popular and for good reason. 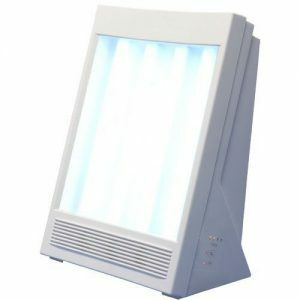 Using 72 LED lights, this device consumes minimal power and is a good starter if you plan to use light therapy for depression. 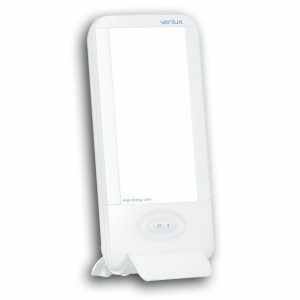 This product is made by Sphere Gadget Technologies which is part of the (Genexus LLC Family). 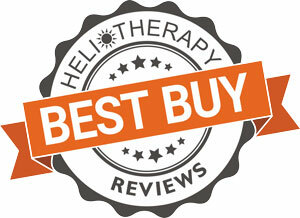 This is their only light therapy box currently on the market. At only 6 x 6.5 x 1 inches, the unit itself is small but this is not to downplay its brightness. It packs a punch. It is roughly the thickness of a thin paperback book of which the LEDs take up approximately half that space. First impressions out of the box are that it feels a little cheaply made and could break if you were to knock it off a table. The lightweight feel of this unit shouldn’t be seen as too much of a negative considering the price. The manual is a plain black and white affair but is easy to read and understand. It comes with a little drawstring bag so that you can cover it should you wish to either store it away or take it traveling with you. The controls are basic but all you need. Having the controls on the front means that you will have trouble switching it off without being blinded by the light. 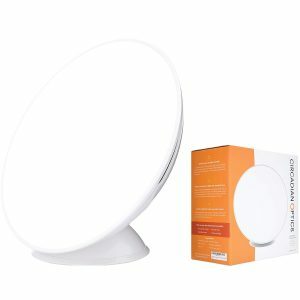 The design is neutral and there is nothing flashy about this light which is why it is so affordable. Really doesn’t get any easier than this. You can plug it in and start using it straight away and the controls are clear to understand. Although small, the buttons are easy to press. As mentioned earlier, this light is bright. Really bright. 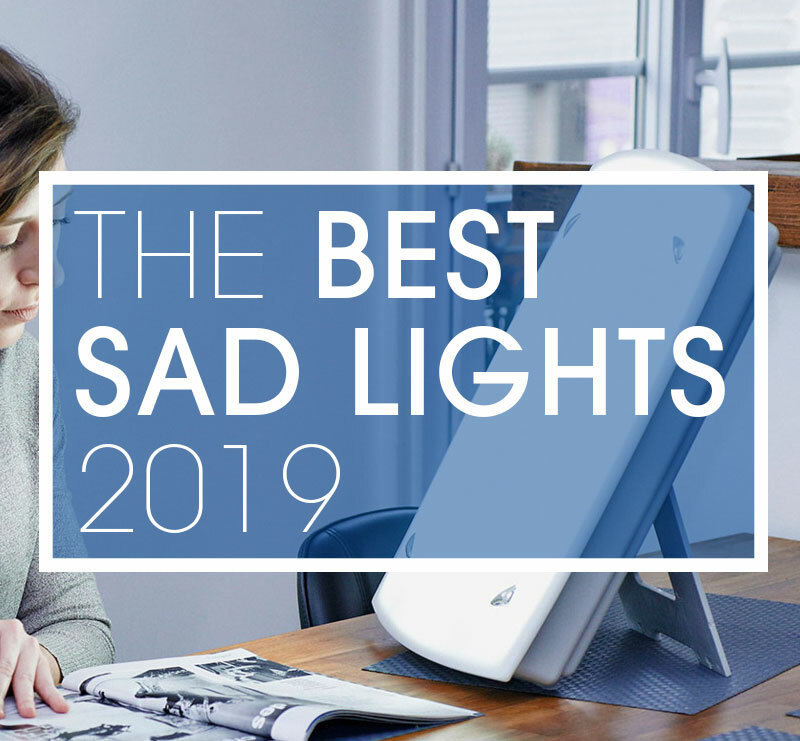 It has a distinctive white color to the light which may or may not be preferable to you compared to the gentler blue-ish light that some other light therapy lights for SAD use. The unit will provide the recommended 10,000 Lux at a distance of between 12-18 inches from your body. Having it that close seemed uncomfortable to my eyes so I generally used it from a greater distance away although that means that you would need to spend longer using it than advertised to get the same effect. 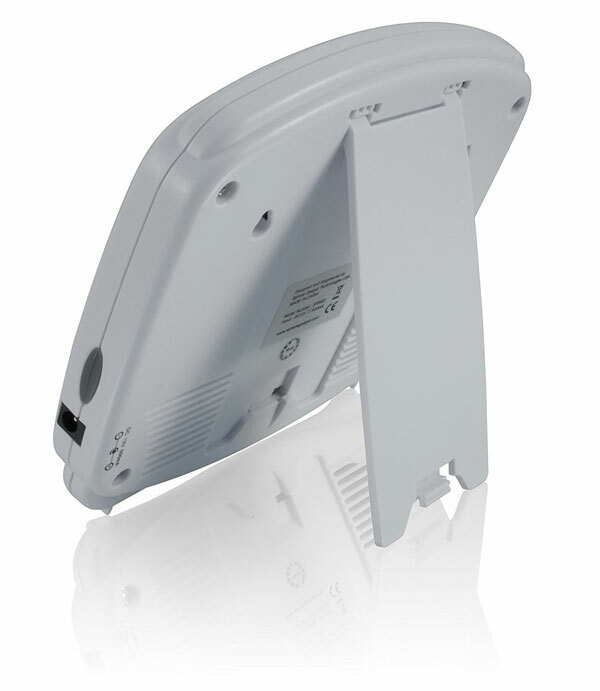 The Lightphoria contains 72 LEDs are rated by the manufacturer to last over 20 years although this could be on the conservative side. This is a mains powered device which some might find irritating but for most users, this will not be a problem. The device has 7 simple functions. There are 3 different timers you can select from; 15, 30 and 45 minutes, as well as an on/off, switch. There are also three different intensity modes which are useful if you need to build up to the full intensity of this light. This light can be used around the world although you would need the relevant plug adaptor for whichever location you are in. There is a simple stand on the back of this light to keep it upright when you want to leave it in one place. I found it wanted to fall down occasionally if I moved it but this is a minor gripe. The light does a good job of filtering out any unwanted UV rays. This light sells for $65.00 including shipping. This is a great deal as it comes in at up to 1/3 the price of other models although it is to be noted that some of these have additional features.